BOSSIER PARISH, LA (KSLA) - A kid with a big heart is spreading love in Bossier Parish. Julianna Gouthiere, 11, donated 50 stuffed teddy bears to the Bossier Sheriff’s Office through her Geaux Show Love’s Bear Share project. “We are so appreciative of young Julianna for having such a compassionate heart to help other children in our community,” said the Bossier Sheriff’s Office. 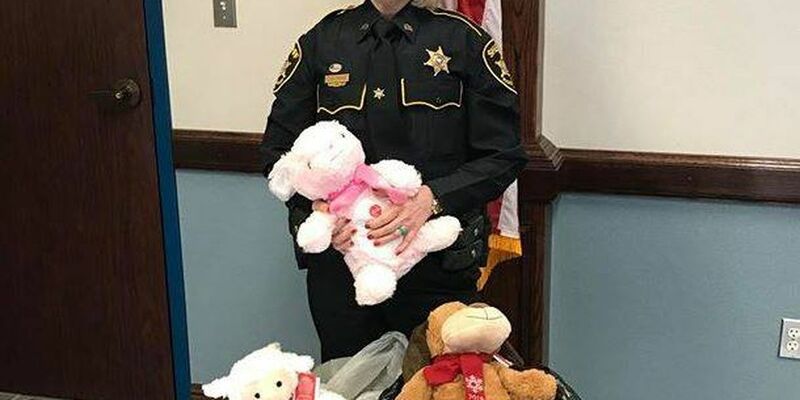 Patrol deputies will carry the stuff animals in their patrol vehicles to provide to children during difficult situations. Julianna started Bear Share in May of 2013 when she was only 6-years-old. As of December 2018, Bear Share had donated over 16,000 stuffed animals to various organizations and agencies. She recently received the Everyday Young Hero Award from Young Serve America. The award recognizes youth who are active in serving in their communities, leading by example to encourage others to serve as well. To donate new stuffed animals for Bear Share, call (318) 820-0295.